Thank you for Joining us. We are grateful to be part of your community. 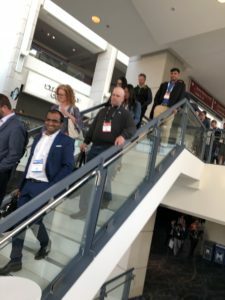 After weeks of preparation and hard work, IRCE 2018 was nothing short of incredible. 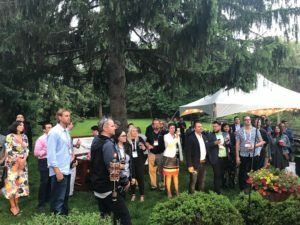 We would like to thank all of you – our clients, partners and industry leaders for joining us at Tom’s IRCE after-party. It was a great privilege for our JetRails team to spend time with you and we hope the conference was as successful for you as it was for us. 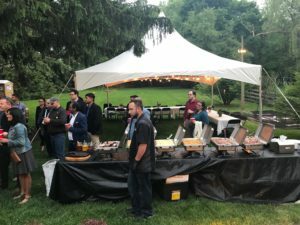 For all of our colleagues that attended, here are some flashbacks to the most memorable party moments. Enjoy! Here we go! 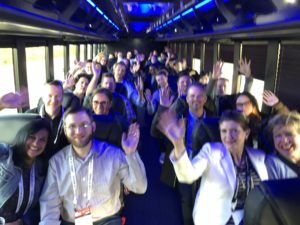 Headed out the door after an amazing day at the IRCE 2018 Conference to the party bus. We love it when great minds come together. Please let us know if we can facilitate any introductions for you. Here are some names to connect with faces in this all-star line up: Travis Eiland – Magento, Robert Vegter – TMS Parts, Megan Elisan – TMS Parts, Sean Dunagan – Dunagan Enterprises, Chantal Pastorek – Nextopia, Michael Daley – Nextopia Thomas Turley – Nextopia, Daniel Hoffman – Nextopia, Davida Wexler – JetRails, Shannon Hughes – Nextopia, Robert Rand – nChannel, Shilpa Marano – nChannel, Jillian Hufford – nChannel, Ryan Muir – Human Element, Judy Foster – Human Element, Loni Soulliere – Nexcess, Joe Reichenauer – Mediotype, Kevin Clor – Tent and Table, Brian Mohr – McFadyen Digital, Jeff Matteus – McFadyen Digital, Chintan Shah – Brainvire, Bhavesh Surani – Brainvire, Nichole Baird – Moon-audio, Drew Baird – Moon-audio, Dan Kozlowski – Xumulus, Tim Campbell, Ryan Campbell, Jeff Yard – Collins Harper, Simon Chan – Collins Harper, Sasha Berson – Intechnic. Leaving McCormick Place and our cares behind us, the Party Bus heads 30 miles outside of Chicago to Tom’s home nestled in the beautiful suburb of Prospect Heights. Getting there is half the fun. 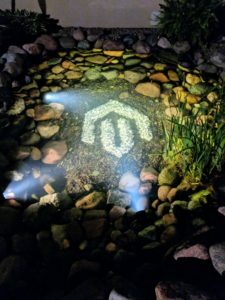 These Magento and JetRails garden creations really rocked the party. 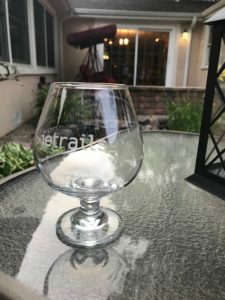 These crystal Glencairn whiskey glasses were a labor of love created by Tom for each of you to represent the perfect pairing between (JetRails and our partners) as well as the perfect pairing of the whiskey flights and cigars featured at our IRCE Party. These unique Glencairn snifters are a style of glassware developed in Scotland. The shape of the glass is derived from the traditional nosing copitas used in whisky labs and can be found in premiere distilleries world-wide. The tapered mouth of the glassware allows you to fully savor the nuances and complexity of fine whiskeys. We love this glass and hope you are enjoying yours as well. Cheers! For those of us who are fortunate enough to work with Tom, we all know that he is a source of knowledge and inspiration. 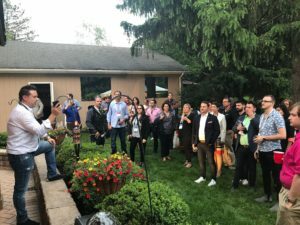 Watch the video and listen to Tom’s insights about bringing together the ecommerce community at the launch of the IRCE 2018 Party. Ilan, our Barbecue Baron spent 24 hours preparing and smoking a variety of meats that were slowly roasted to mouthwatering perfection. The buffet of accompaniments just added to the crazy, tangy, smokey goodness. Due to popular demand, our Master Sommelier Alex has generously agreed to share the JetRails Punch recipe. He spent a week perfecting this extremely delicious but lethal concoction. The complexity of unique ingredients creates a very full-bodied punch with no tannic or bitter compounds and a very smooth and silky finish. For those of you who drank the “Kool-aid,” you know it was well worth it. Try this at home, if you dare. – Infuse Pierre Ferrand 1840 Cognac and Apple Brandy with Pandan Leaves for at least 24 hours. – Peel 8 lemons and 8 oranges and cover the peels in cane sugar. This mixture should be placed in the fridge for 24 hours. The sugar will extract the oils from the citrus peels creating what is know in culinary circles as Oleo Saccharum. – Brew and steep organic Darjeeling tea to create a dark and tannic brew. – Combine the Oleo Saccharum, the Darjeeling tea (still hot enough to dissolve the sugar), 2 cups of fresh lemon juice, and 2 cups of pineapple juice. 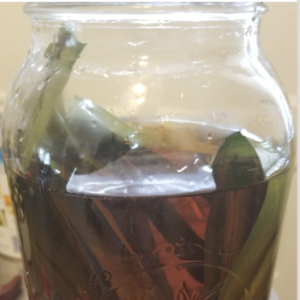 Add fresh ginger and vanilla beans and allow the mixture to infuse for 6 more hours. – Strain the ginger and add the spirits (Cognac & Apple Brandy) to the concoction. – Pour milk to a large stock pot and slowly add the punch while gently stirring. The resulting mixture will curdle (the milk will separate into whey and casein). – Allow the batch to sit in the fridge overnight to fully curdle the milk. The next day use a fine mesh strainer to eliminate the big solids out of the mixture. Run the mixture through the strainer twice and allow the mixture to marinate overnight in the refrigerator to settle. – Finally, use a siphon to skim off the now clear punch that has risen to the top. Filter out any remaining curds using a coffee filter. – Enjoy over ice with a slice of pineapple and brandied cherries. The JetRails company mission is clear – people come first. Our team pours love, respect and total commitment into every relationship we have. It is an honor to work with all of you. 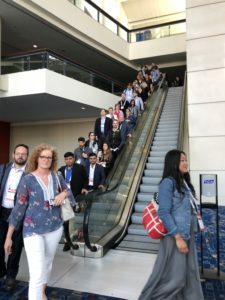 We plan on continuing the tradition of bringing together our most trusted colleagues who excel in so many different areas of the ecommerce ecosystem. We are always here to serve you, please reach out to us for anything you need or just to say hello.